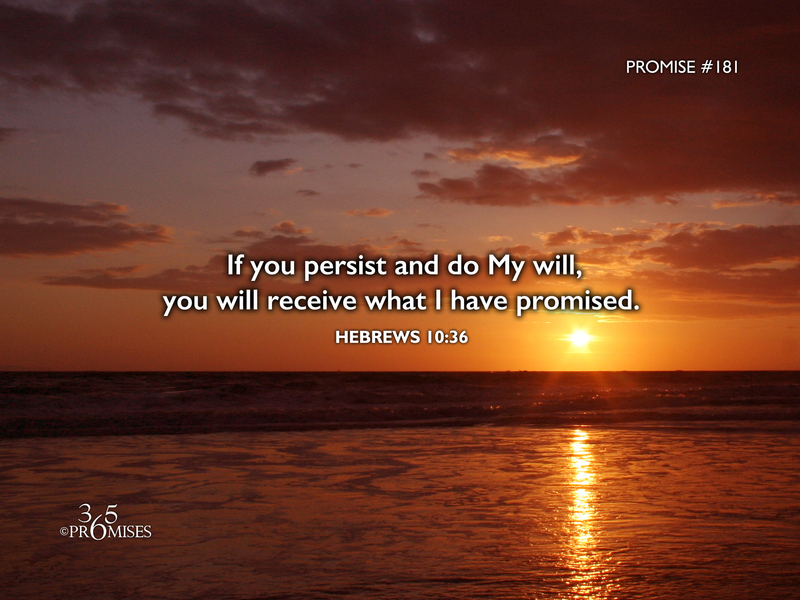 If you persist and do My will, you will receive what I have promised. you may receive the promise. The KJV Bible says that we need patience, the NLT Bible says that we need patient endurance. The NIV Bible says that we need to persevere. In Hebrews 12:1-2, we are called to run the race uniquely marked out for each one of us. In light of eternity, it might be just a sprint. However, in the grind of daily life, it mostly feels like a marathon race that we are running. That is why the writer of Hebrews encourages us to keep on persisting to do the will of God in order that we might receive all that He has promised. We know that we could never do anything to earn or deserve the free gift of grace that God has given us in Jesus Christ. So I do not believe that this Scripture is referring to self effort or human works. Jesus told us that the work that God requires is that we believe on the One He sent. I believe that God is saying that if we will just believe in Him and obey His leading, that we will receive all that He has promised in His Word. So don't lose hope, don't give up! God's promise is true for both me and you! Keep running your race!